Ciao y’all! 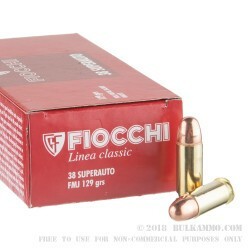 That’s southern Italian for “Hey!” Our Italian friends, Fiocchi, bring to you 1,000 rounds of .38 Super 129gr FMJ. Not to be confused with the more common .38 special, the .38 Super is a pistol round used for target practice or self-defense. 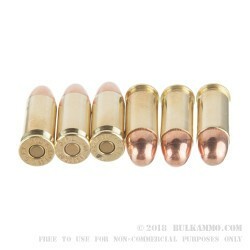 This newly manufactured ammo is brass cased, boxer primed, reloadable and non-corrosive. They are a cost-efficient alternative that is still precision made by our Italian friends, Fiocchi. Still a family owned business, Fiocchi has been in business for over 130 years. Their US operations center is personally run by Carlo Fiocchi. Fiocchi has won a number of awards for their attention to detail and focus on precision and quality. Establishing themselves in the United States, again, in 2005, their sales have increased 500%! Their previous attempt at the US market didn’t take off the way they had hoped. They are currently located in a plant in Missouri near Springfield. The US subsidiary imports empty primed hulls from Fiocchi Munizioni and wads from Italy, home to Ferraris and Lamborghinis and the ancestral home of the Fiocchi family. 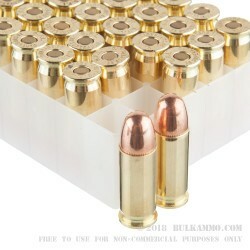 With this purchase you will receive 1,000 rounds of the FIochhi .38 super ammo 129gr full metal jacket. Time to hit the range!